Travelling in a large group? Stag do, hen night or just a large family? Then the Britannia Airport Inn is perfect, with suites that can sleep up to seven people! There's plenty of parking and lots of seats in the restaurant and bar. Still, even if you're not bringing the whole family, you'll still love being just one mile from the airport at this Gatwick hotel. If you've got lots of people arriving by car, then the Airport Inn hotel car park is multi-storey and on-site. Park your car up, stay the night in the hotel, then jump on a shuttlebus direct to the terminal in the morning. You'll have enough chaos getting all your party to the airport at the same time without complicated parking arrangements! It all went well. Transport was prompt + easy. The meals were good + the room was quiet + comfortable. The staff were friendly + helpful too. Arrived by Airport bus late afternoon and settled in to a comfortable room. Had already eaten so didnâ€t order a meal this time but have done in the past when we have brought a group. Had a good nights sleep before leaving at 04.15 to catch Airport bus. All went smoothly, staff helpful. Excellent service, directions easy to follow, quick checkin, safe undercover parking, clean and quiet room, good bar and food service, easy connection on airport bus both ways, although bus stop could be nearer departures, easy collection of car and luggage transfer, on our way in 5 mins. 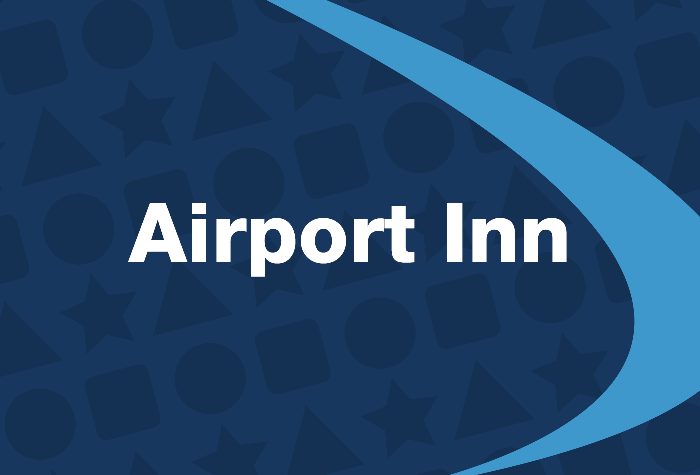 Our customers rated Airport Inn Gatwick on average 8/10 (913 reviews). 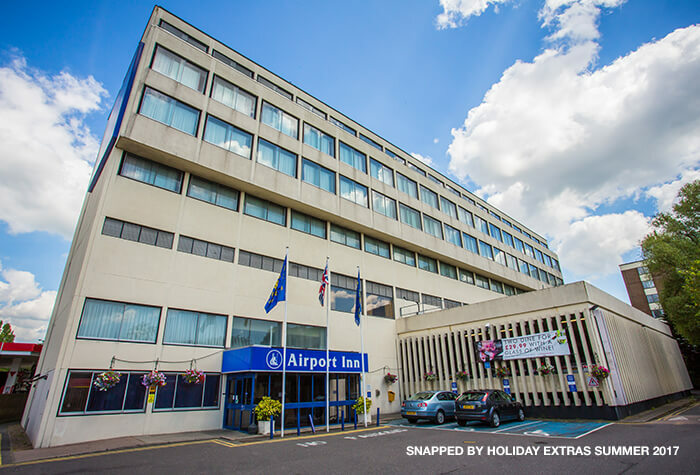 Read Airport Inn Gatwick reviews. As if that wasn't enough, the Airport Inn has soundproofed windows in the spacious rooms for a great night's sleep. There's free wifi throughout the hotel and even 24-hour room service. Downstairs there's a friendly restaurant and bar. You really couldn't ask for more to get your holiday off to a great start. 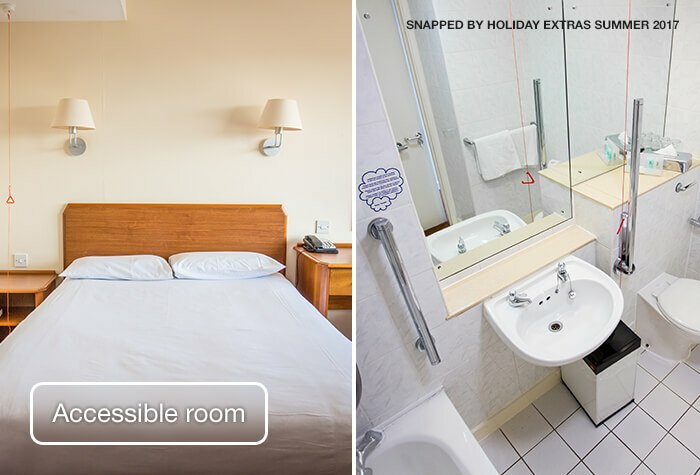 Group travel - Triple, quad rooms and seven-person suites mean you don't have to split up during your stay, but still have enough space so you won't be tripping over each other. The rest of the hotel is built to accommodate large groups too. 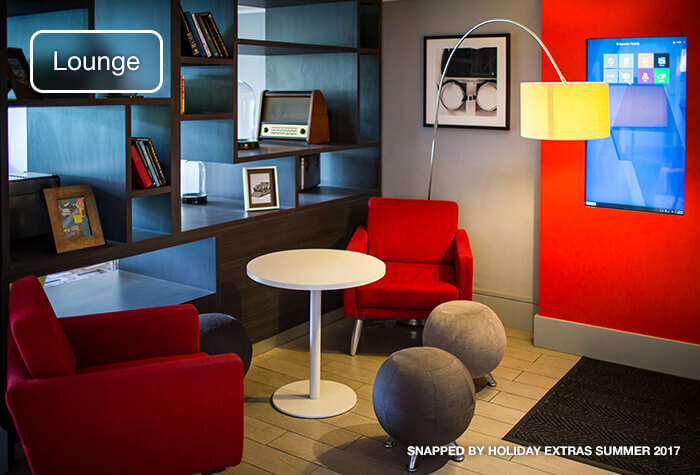 Families - Along with the extra space, the Airport Inn offers free cots and high chairs, and a play area. The restaurant has early-evening service and a children's menu with activity packs to keep them entertained. Generally, the hotel welcomes children and families, so you won't feel like outcasts. 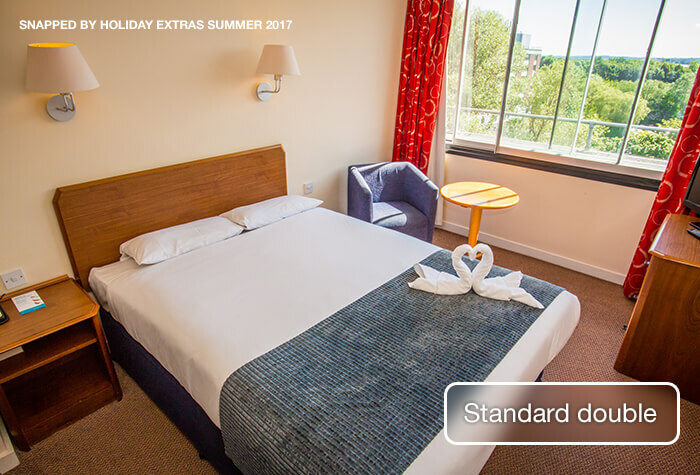 Comfort and convenience - The hotel is large enough that you'll never feel cramped, quiet despite being so close to the airport and the rooms are very comfortable, so you're sure a great night's sleep. Then, in the morning, it's just a quick hop to the airport. 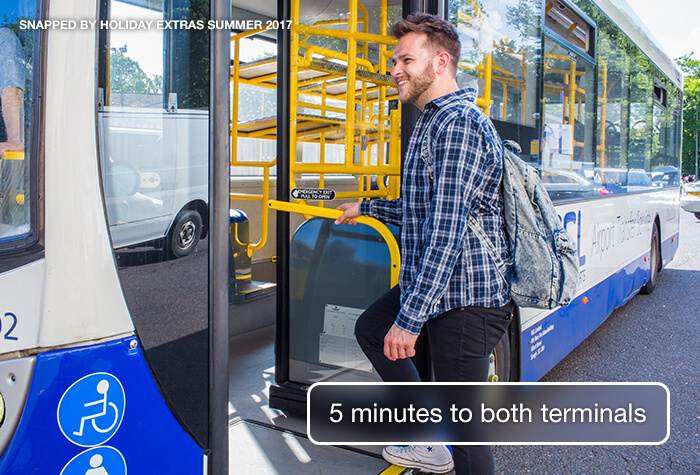 A shuttle to the airport costs £3pp and runs every 15 minutes from 4am - 11pm and every 30 minutes from 11pm - 4am. The hotel offers overnight parking for £7 per car if you need it. The Airport Inn is a 5-minute drive from the airport in good traffic. Driving instructions and a postcode for satnavs will be on your confirmation email. Arriving by train? The nearest station is Gatwick Airport. Its about 5-minutes drive from there to the hotel by taxi. Guests tell us the rooms are spacious and comfortable. The Triple Room layout includes 3 single beds. The Family Room layout includes 1 king double bed and 1 bunk bed. Please note the family room sleeps up to 2 adults and 2 children, the child age limit is 14 and under. Theres free unlimited wifi in public areas of the hotel. 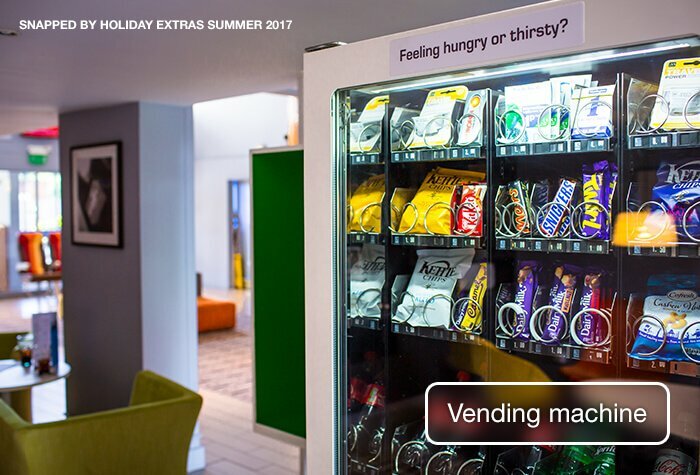 It's free for 20 minutes in your room and after that is £7 per 24 hours. Guests say its fast and reliable, ideal for streaming your favourite shows. 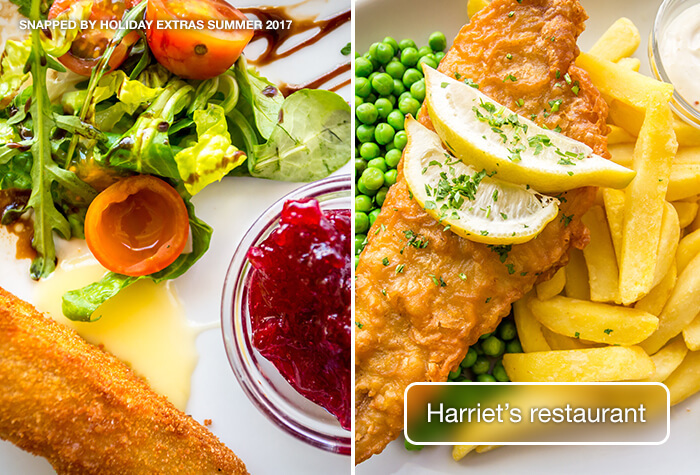 Harriets restaurant serves a special 2-course set menu of risotto, fish and chips, chicken or pie with soup, pate or crispy fried brie. Book this in advance for £15pp with us on the next page. The restaurant also has an a-la-carte menu if youd prefer something else. Main meals average about £15. Kids menu available. 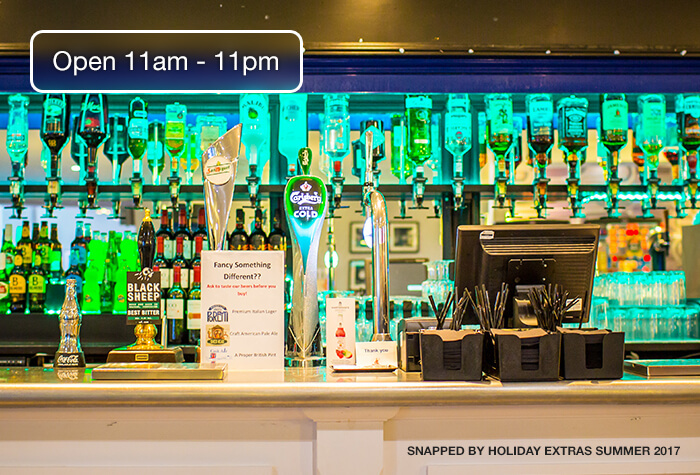 Harriets bar serves a range of soft drinks, beer, wines, spirits and cocktails. They also serve light bites and snacks, such as soups, sandwiches and paninis ranging from £4 - £14 each. A pint of beer costs around £4 and a glass of wine costs around £5. Open 11am - 11pm daily. The restaurant serves a full English and continental buffet. 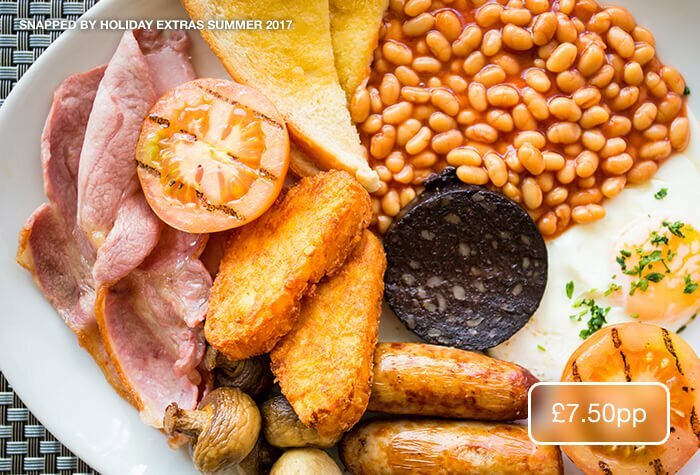 Breakfast costs £7.50pp when you book in advance with us. Served 7am - 09.30am daily. 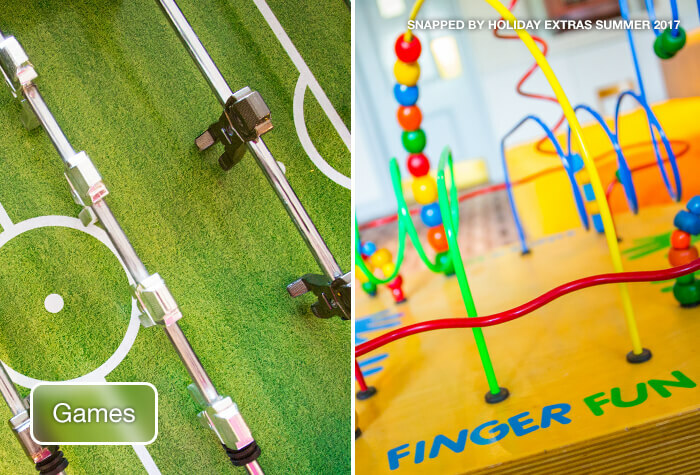 The hotel has table football and retro video games which are free for the kids to enjoy. Dogs are welcome at the hotel for £10 a night. The hotel will be more than happy to advise you on popular nearby walks and pet-friendly places to visit. Breakfast times Breakfast is served daily from 7am until 9.30am. Disabled facilities The hotel has accessible parking, ramp access and accessible rooms.